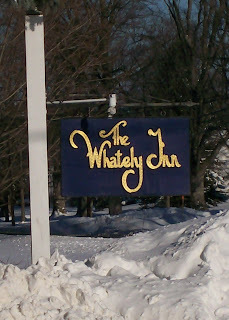 The Whately Inn in western Massachusetts is the place to go, for frog legs, for ghosts, for the most randomly trusting people you'll ever meet. I highly recommend, especially during the winter months. how much snow did you get up there? all told, about 26" or so. it was a good one.